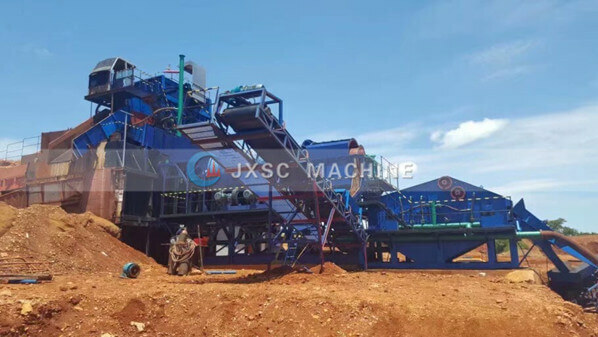 Diamond Mining Equipment: First use vibration feeder to feeding material to trommel scrubber, After trommel scrubber for washing clean, and separator big size out, then to vibration screen. Vibration screen also for separator different size. 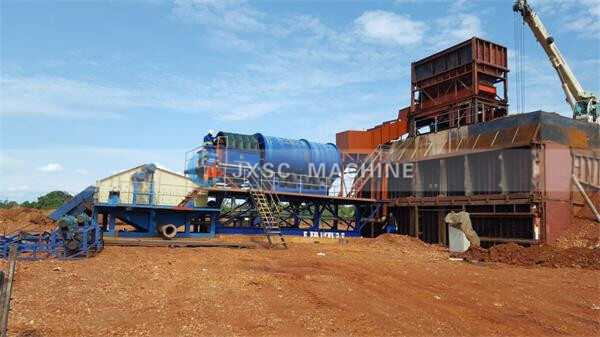 Diamond Mining and Processing: The capacity is for 200 tons per hour, First use backhoe get material to hopper, under hopper have a vibration feeder, vibration feeder can separator out +70mm size, then 0-70mm size to trommel scrubber, trommel scrubber is had two part, one part scrubber is for washing, one part screen is for separator different size. After trommel scrubber then to vibration screen, separator size again then can use jig machine get diamond. 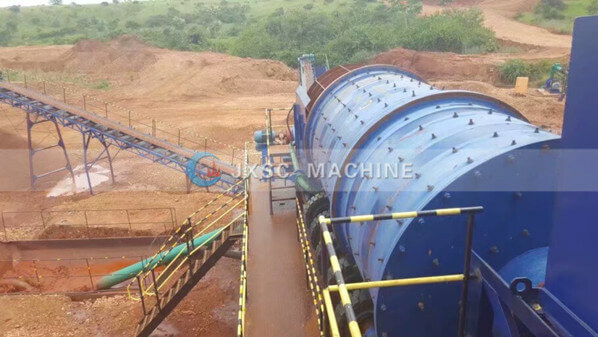 Trommel scrubber is a good diamond mining equipment for diamond clay mine washing, some mine have much clay, if not washing first, the recovery rate is very lower. 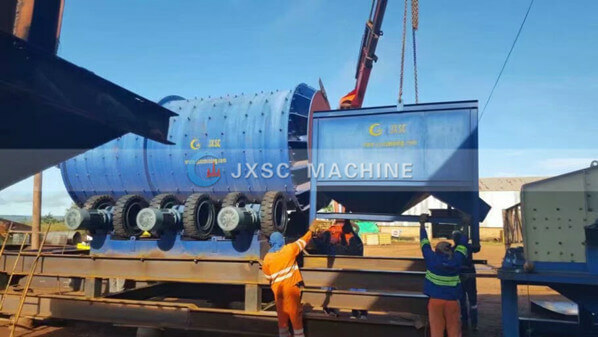 The trommel scrubber is fit for clay mine washing, it can’t recovery the concentration, trommel scrubber is fit for all clay mine, like gold, diamond, tin, chrome, tantalum-niobium ores and so on. This 200 tons per hours diamond separator line is have working for one year, and it has got good effect, for now, this customer want open another 200 tons per hours line, our engineer has to go mine site for inspecting, first can check the existing diamond processing plant, most things are good, but also some details can make more perfect, Our factory is a progress factory, we need to make the diamond process machine more and more perfect, besides checking the existing alluvial diamond mining equipment, also need to check the new diamond mining equipment, base the one new ore site, to choose the best diamond processing machine. 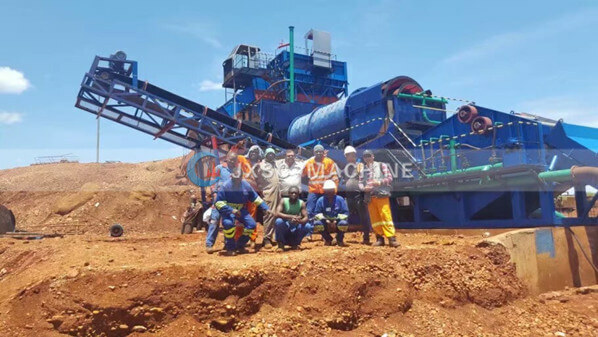 Not only diamond ore, but our factory also can make gold ore machine line, chrome ore machine line, tin ore machine line, iron ore machine line, tantalum-niobium ores machine line, tungsten mining plant, Coltan mining plant, and so on, if you need more details pls contact us. 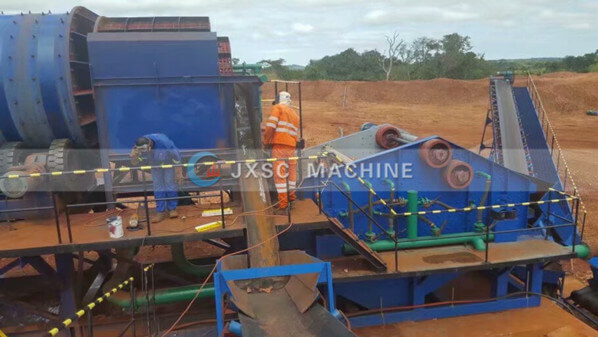 Diamond mining equipment for sale South Africa, JXSC has many successful cases in Africa, diamond mining in Africa always has a good trend, we provide alluvial diamond mining equipment since 1985，have rich experience of DMS plant( dense media separation), diamond trommel. besides, we can do a diamond processing flowsheet design, mobile diamond washing plant, contact us to get the diamond mining process pdf and diamond processing flow chart.